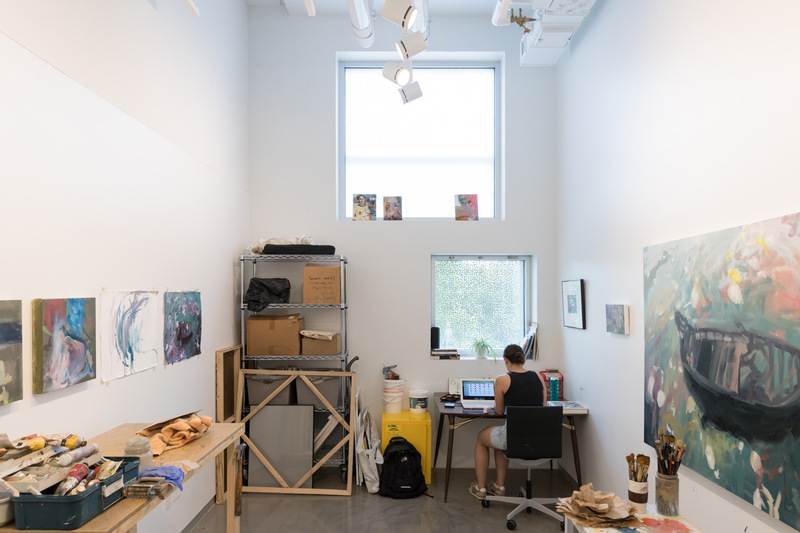 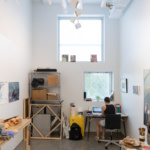 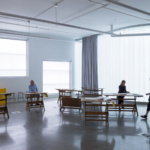 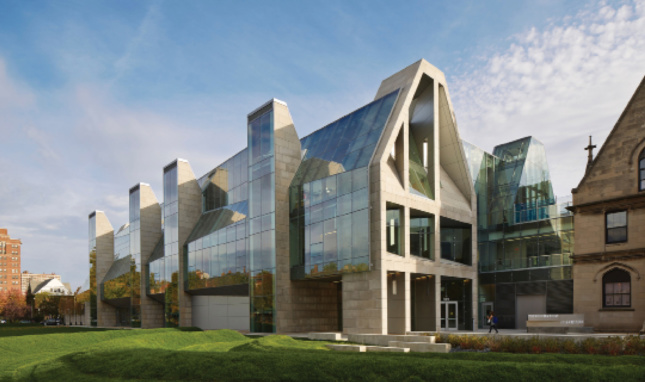 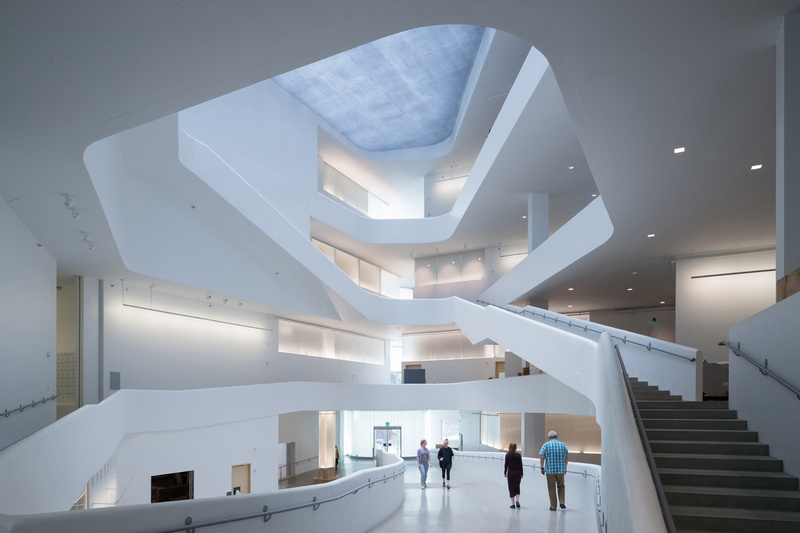 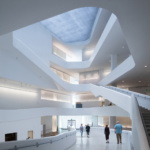 The new Visual Arts Building for the University of Iowa’s School of Art and Art History, which replaced a 1936 building that was heavily damaged by a flood, provides 126,000 square feet of loft-like studio space for all visual arts disciplines by utilizing both traditional techniques and advanced technologies. 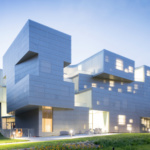 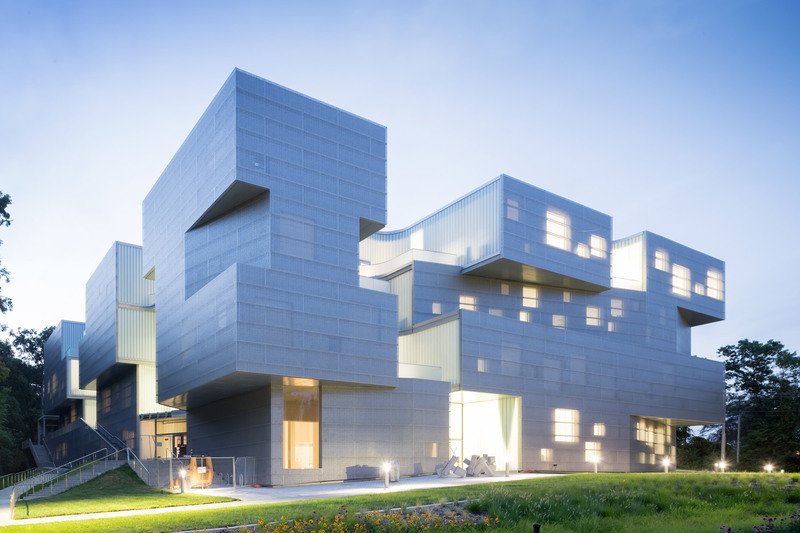 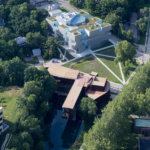 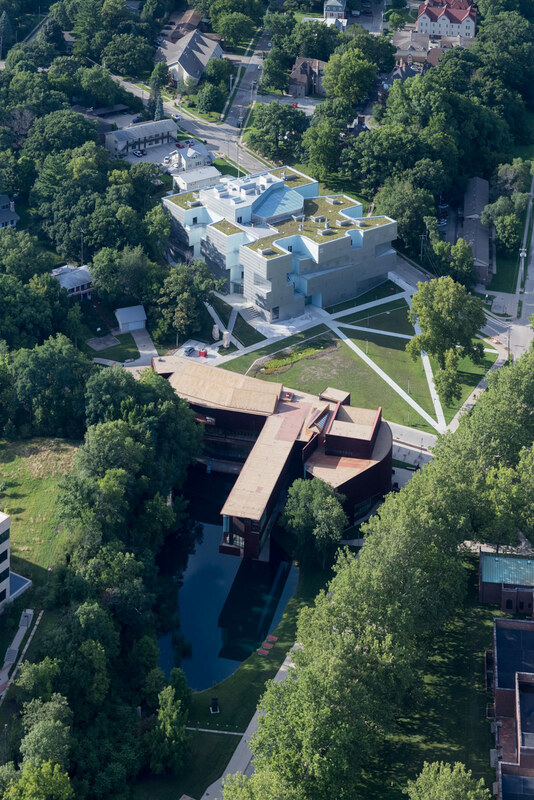 Alongside Art Building West—also designed by Steven Holl Architects and completed in 2006—the two structures define a visual arts campus for the theorizing, teaching, and making of art. 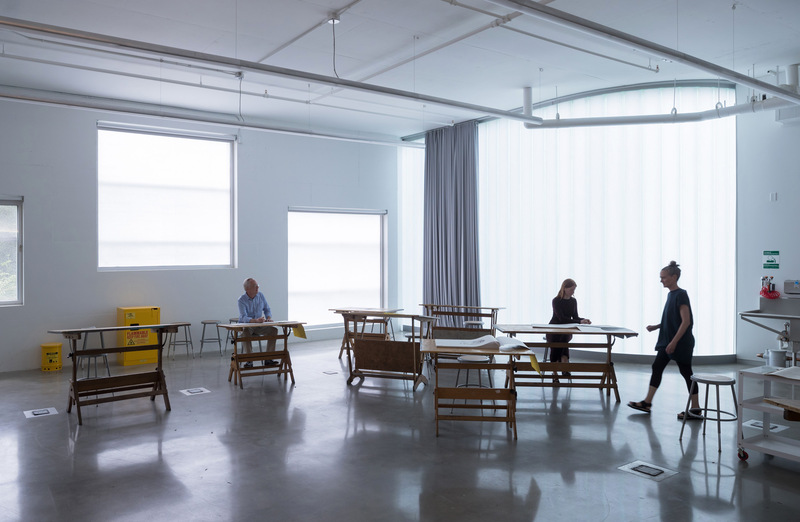 Studios are open and visible to display each discipline’s practice and product, while seven vertical cutouts through the building’s horizontal floor plates maximize natural light and ventilation. 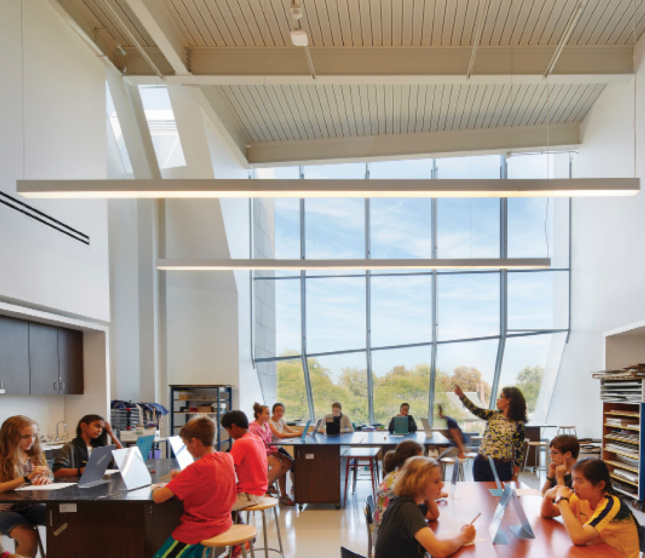 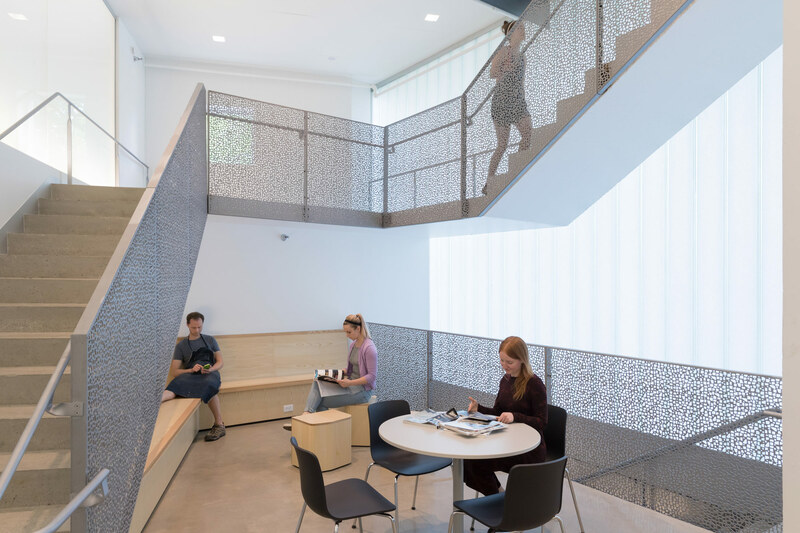 Reinterpreting the neo-gothic architecture of the University of Chicago’s neighboring buildings, the Gordon Parks Arts Hall celebrates the school’s commitment to hands-on learning with rooms designed to produce and present content.